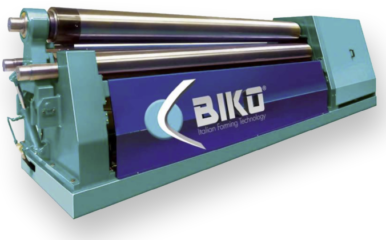 The Biko B4, with capacities ranging from 2m to 3m and 2mm to 70mm, this four roll plate bending rolls are recognised worldwide as the fastest, safest, most precise and easy to use plate roll available in the Biko range. 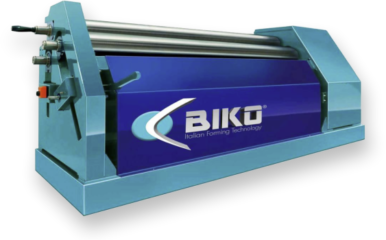 The BIP version of plate roll guarantees superior quality of bending thanks to the asymmetric geometry of the roll movement. 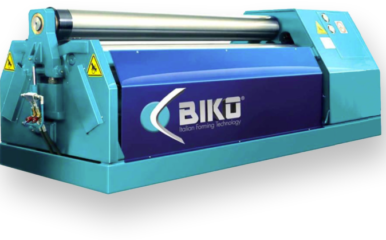 Optimal plate drive is guaranteed by the two powered pinch rolls and is ideal for preventing any slipping even on very thin plate.